The Trimble BD930-UHF high-performance integrated UHF receiver. Trimble has introduced the Trimble BD930-UHF receiver and communication module. As part of Trimble’s GNSS OEM portfolio, the new compact module features centimeter-level, Real-Time Kinematic (RTK) positioning capabilities coupled with an integrated UHF receiver for precise mobile positioning. 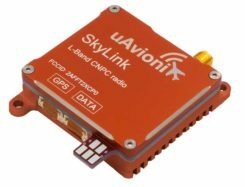 The BD930-UHF module’s connectivity and configuration capabilities allow system integrators and OEMs to easily add GNSS, centimeter-level positioning to specialized or custom hardware solutions. Taking advantage of Trimble’s expertise in both GNSS and UHF communications, the Trimble BD930-UHF module has been designed for applications requiring centimeter accuracy in a compact package. By integrating wireless communications on the same module, the task of receiving RTK corrections is significantly simplified. The triple-frequency GPS/GLONASS/BeiDou/Galileo BD930-UHF provides customers with a multi-constellation solution that can reduce their integration effort and time to market. Ethernet connectivity and onboard web server allows high-speed data transfer and configuration via standard browsers. USB and RS232 ports are also supported. 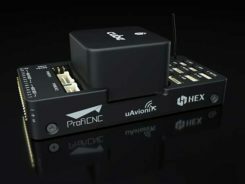 By tightly integrating communications with the GNSS receiver, integrators can reduce costs, power, weight and size. The Trimble BD930-UHF is expected to be available in July 2014 through Trimble’s Precision GNSS + Inertial sales channel worldwide.